Looking up at the night sky it really is remarkable how many stars you can see and how much detail can be seen in the Milky Way. After the moon set Sunday night I shot a few pictures of our galaxy. 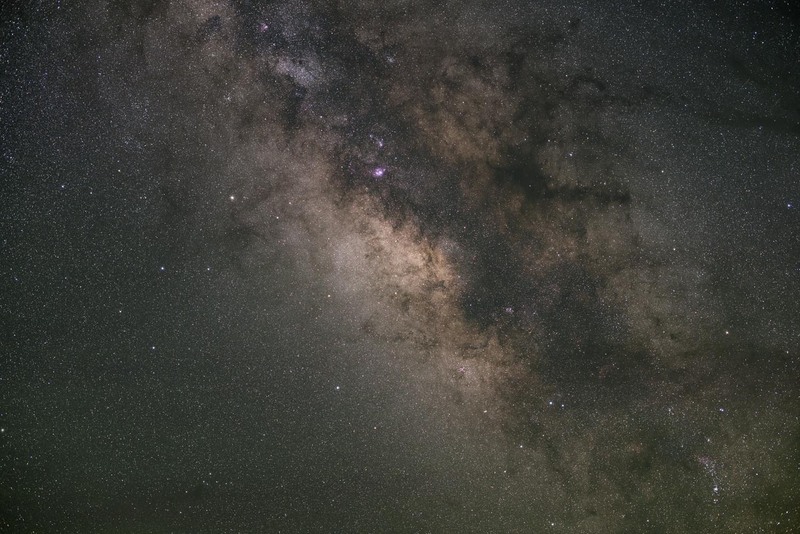 The detail here is the central part near the constellation Sagittarius, part of which takes on the shape of a teapot, with the “steaming” Milky Way coming out of its spout. 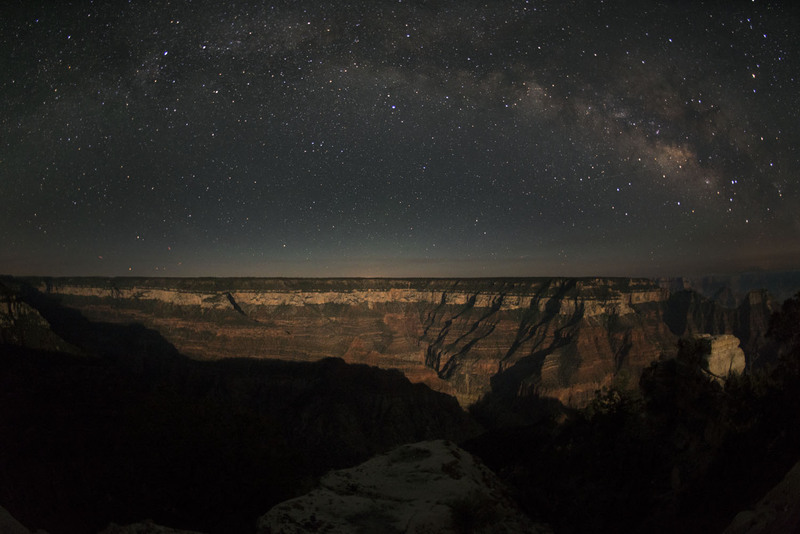 The teapot is five stars that look vaguely like a house to the left of the Milky Way, the “spout” star just about in the center of the picture. I like this part of the galaxy since there is so much to look at. The dark portions are interstellar dust clouds obscuring stars that are behind them. Gas around nebula glows red and many clusters of stars can be seen. And the shapes of all the big features are so interesting. I end up photographing the same trees/plants over time mainly when I see something new or a different angle. I’m sure I’ve shot this great tree several times and around 11 pm the Milky Way made a diagonal across the sky that followed a branch as it extended out. 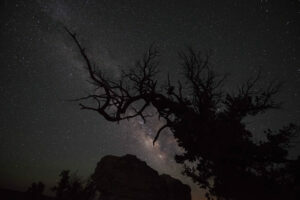 Milky Way arches over moonlit rim. This extreme wide shot is with a 16mm fisheye lens, which normally produces all sorts of wild distortion. I kept the horizon straight and centered and with the sky and landscape there aren’t the usual objects that would be bent at all sorts of strange angles. The Milky Way was naturally curving that way and the moon provided some nice lighting to the canyon. The view is almost 180 degrees from left to right.